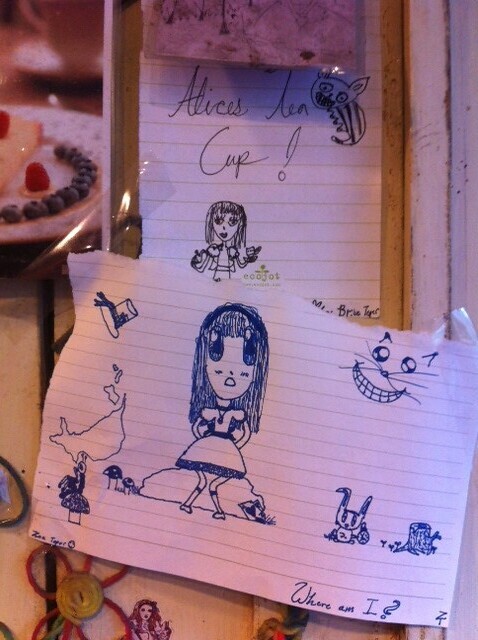 Meet my new favorite place in the world: Alice’s Tea Cup. 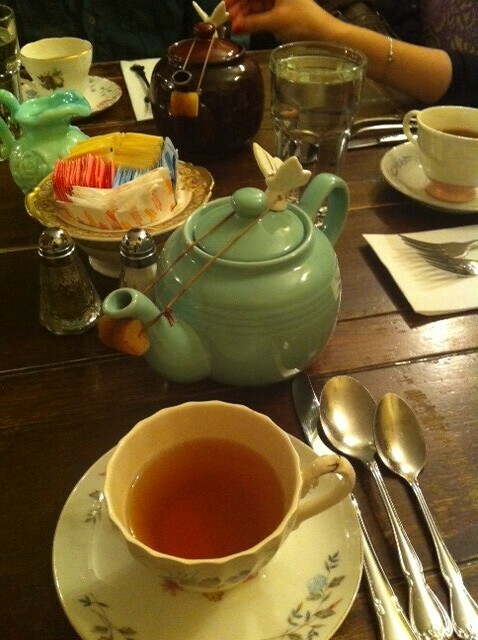 It’s tea + yummy treats + lunch + relaxing + friends + smiles + alice in wonderland. Basically it will make your day. You won’t want to leave. You will just sit back and chat with your friends feeling like you’re on a cloud floating in paradise while sipping some black tea (there’s a whole book of teas to choose from!). 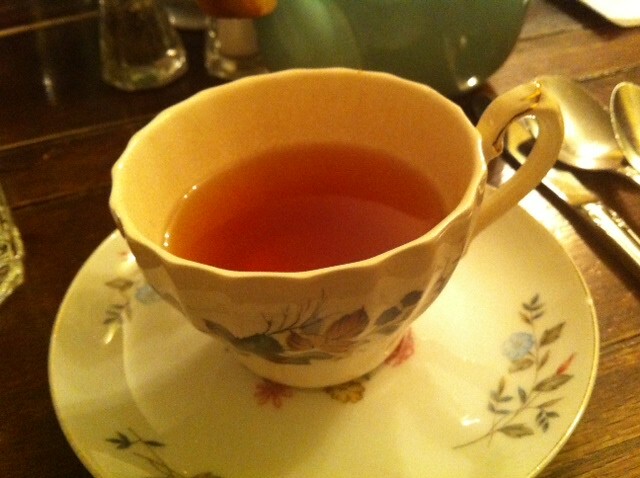 Monk’s blend – a blend of Darjeeling and Keemun black teas. Mount Everest Breakfast – a blend of Assam and Yunnan black teas. Smooth and subtle. They both were so delicious. 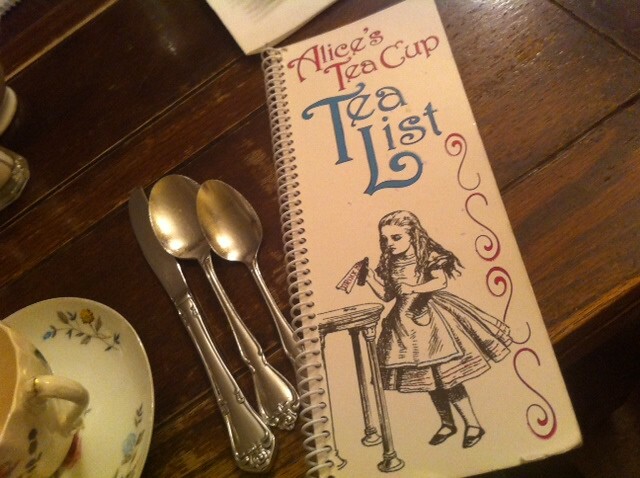 If you go their website and click “Tea List” you’ll see everything to choose from! 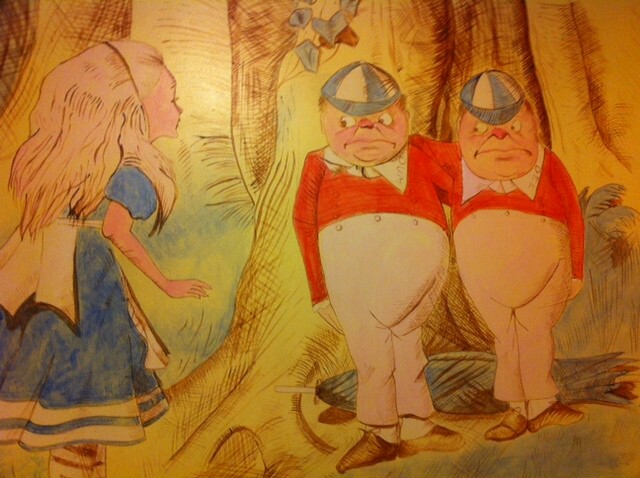 Another big bonus is the cups and plates, everything is mismatched and very “Alice”. It’s my dream to have a whole cupboard filled in this way! Then there’s the yummy food. 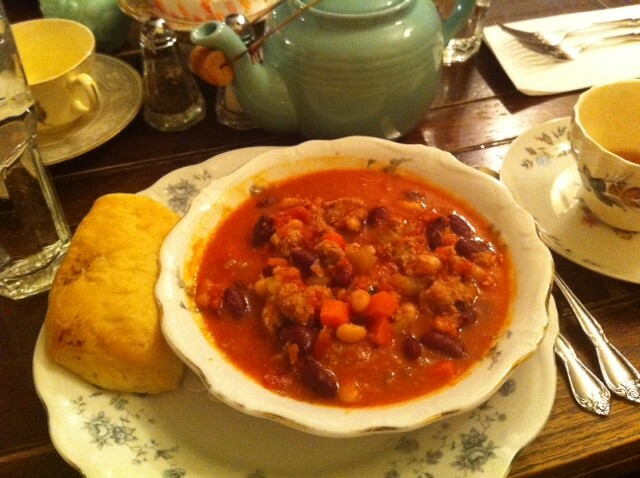 I got a bowl of turkey Chili, but I also heard the Vegetable soup was good. Our friends had the ham and cheese sandwich and that looked delicious too! Here’s my soup, it was surprisingly really hearty and filled me up. And let’s not forget some of the best.. the treats! 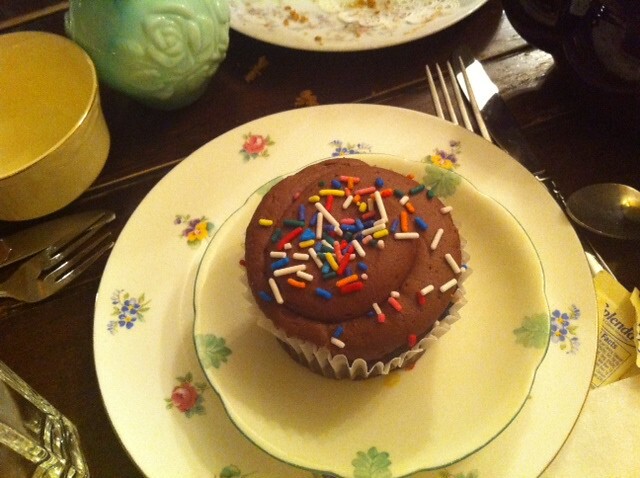 I got a chocolate cupcake which was *get ready for this statement* I think the best cupcake I ever had in New York. Maybe anywhere. 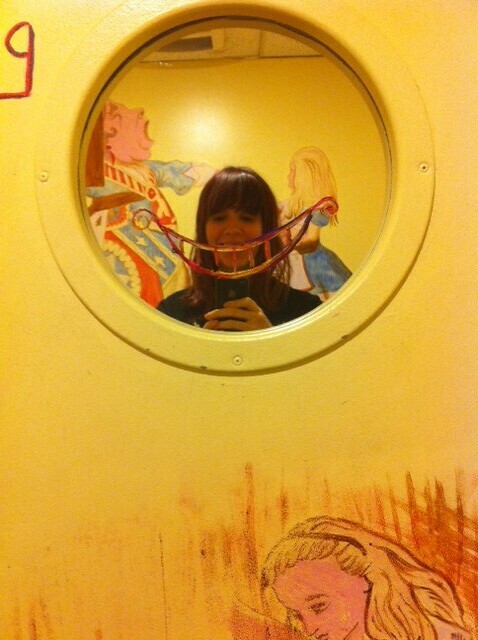 I’m not joking. It was moist chocolate cake with chocolate frosting that was light but yet had a thin crust on top to bite through. 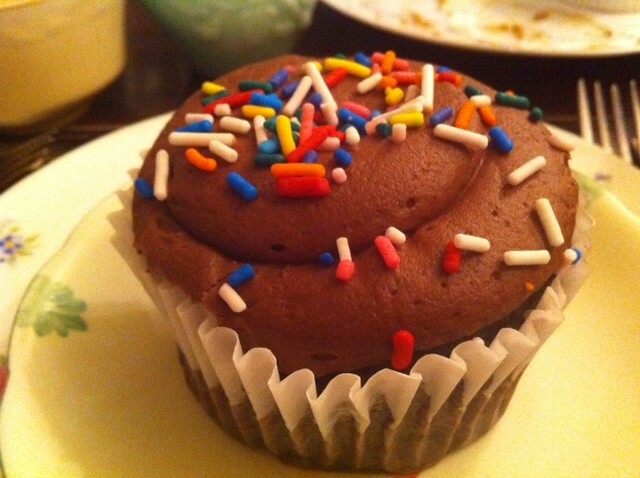 To top it off rainbow sprinkles. It can’t get any better. 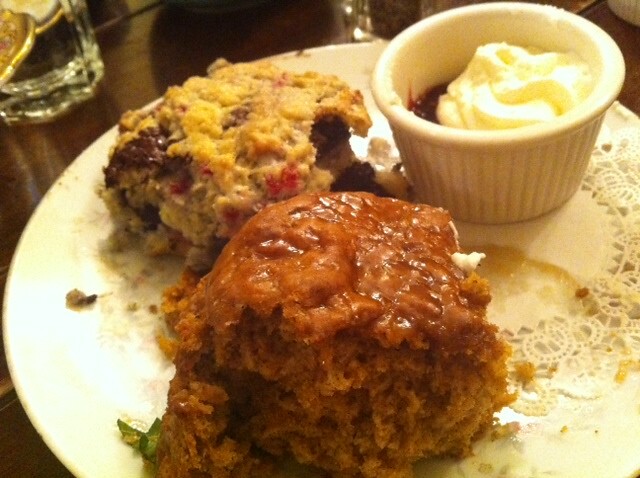 Friends had some scones, chocolate and pumpkin. I didn’t try the chocolate but the pumpkin was soooooo good. There is artwork and cute text all over the tea room.. it’s really a happy place. We were there during the day where it was mostly women lunching (we had the only 2 men at our table for a while! ), but I would guess on the weekends there’s lots of little girls running around with princess dresses and fairy wings. If you are in NYC, please visit this place.. and ask me to go with you.